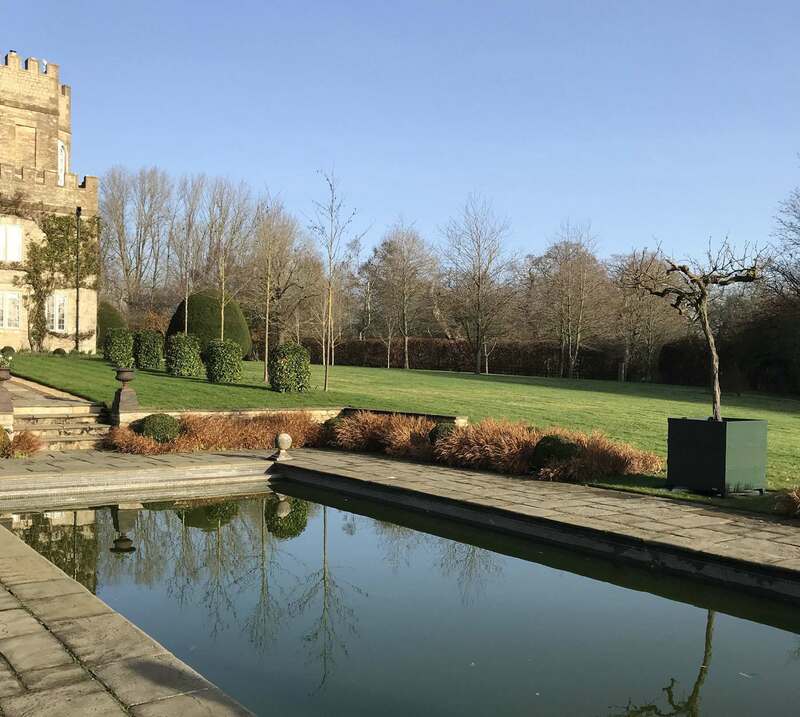 The front façade of this beautiful C17th Cotswold Hall was eclipsed by mature yew hedges planted in parallel lines in front of the house. 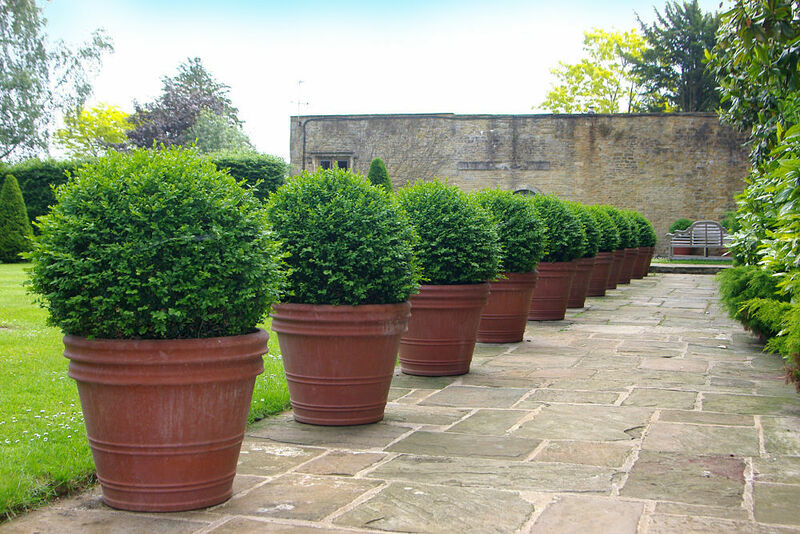 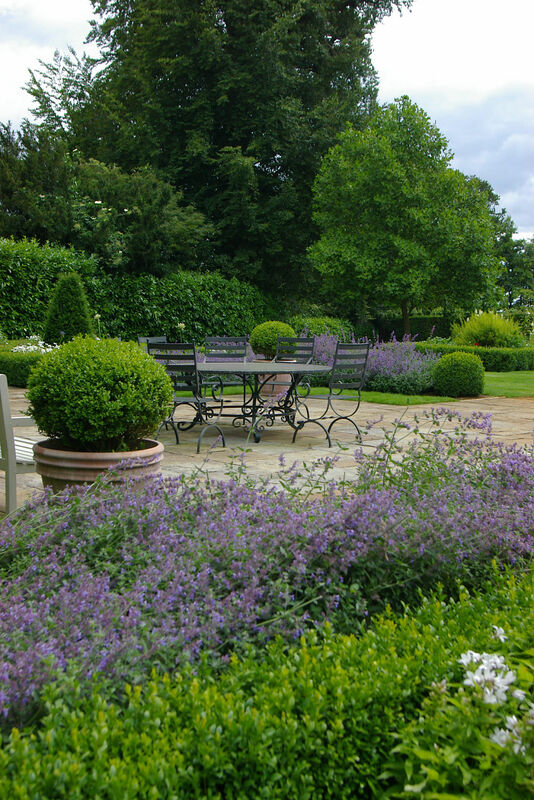 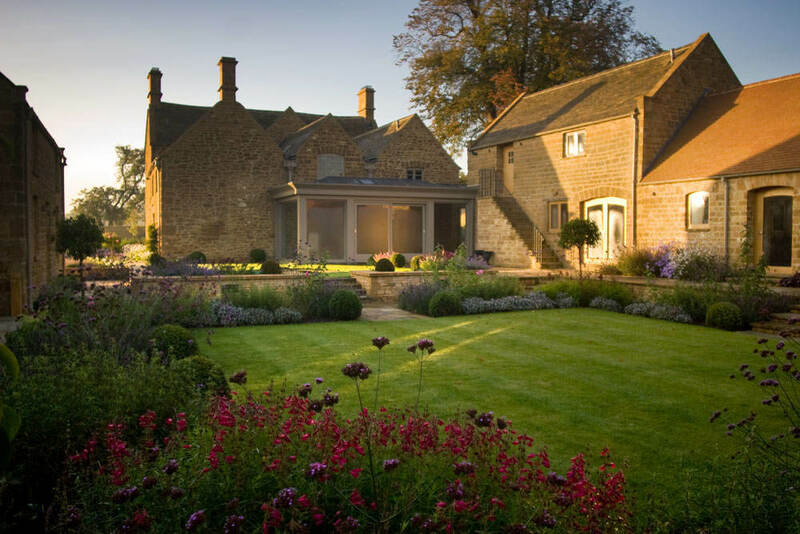 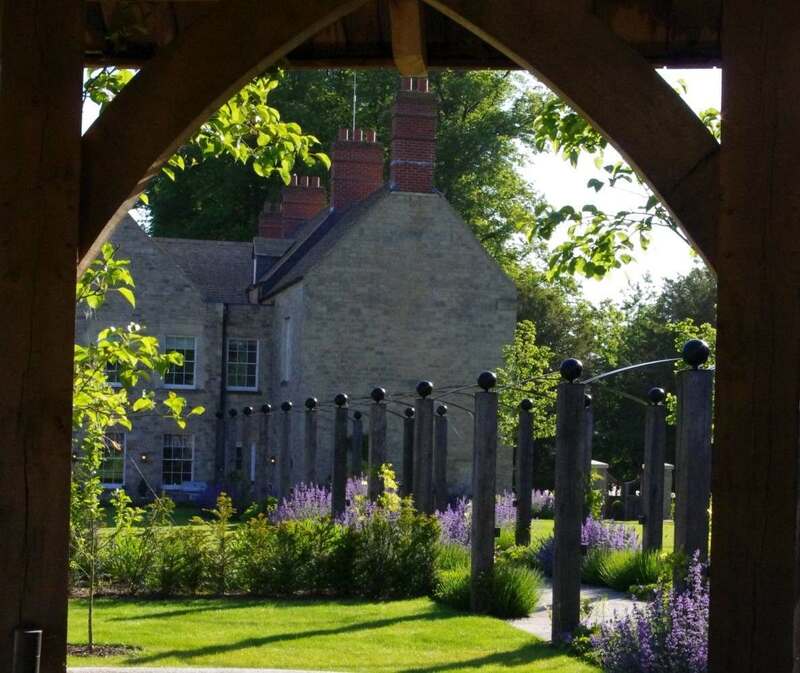 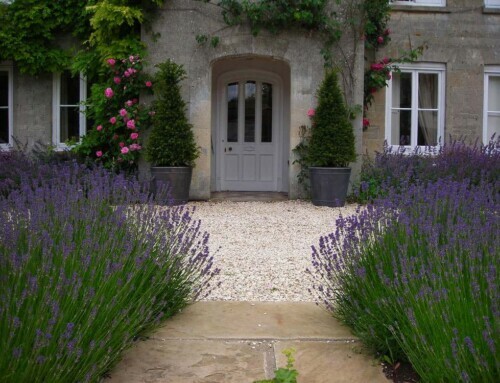 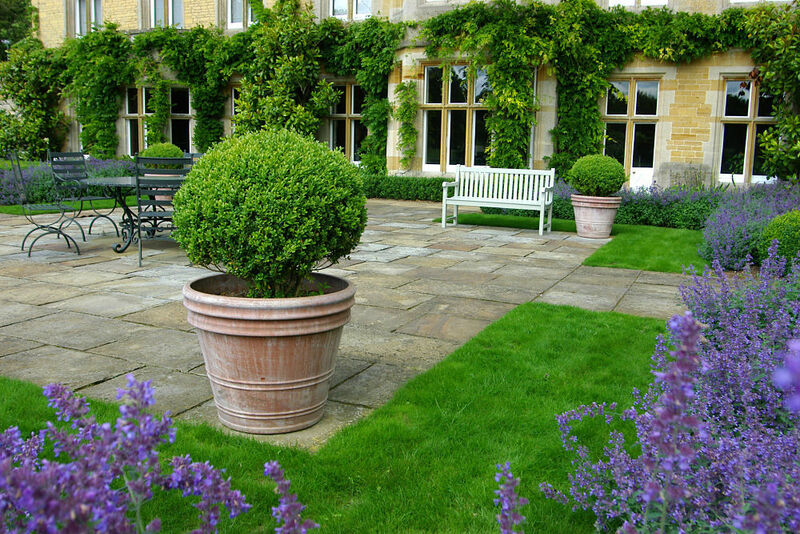 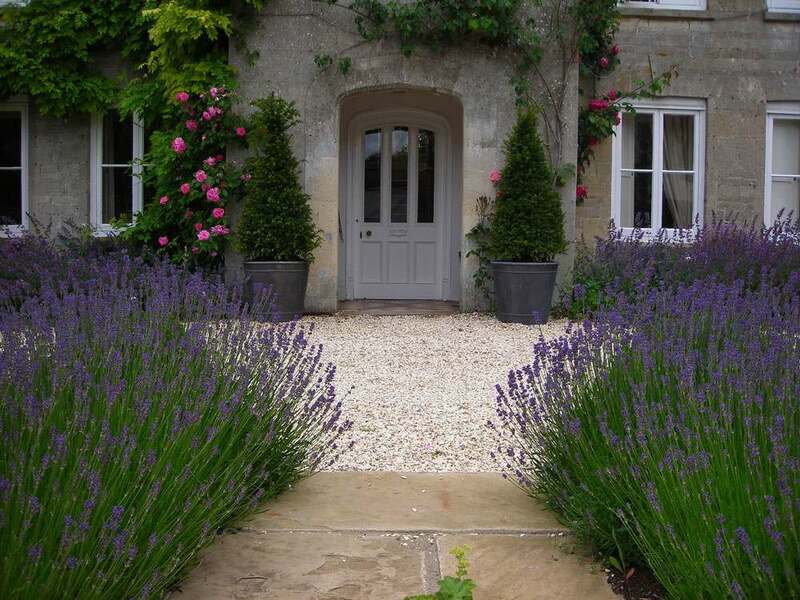 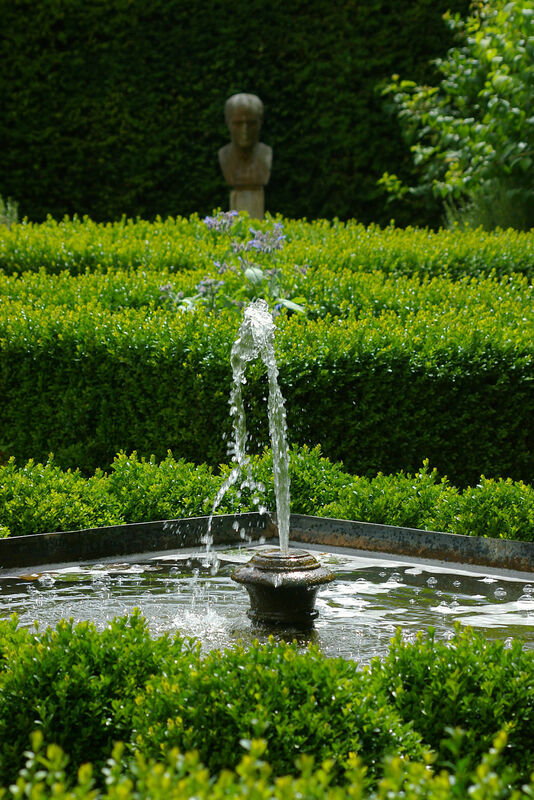 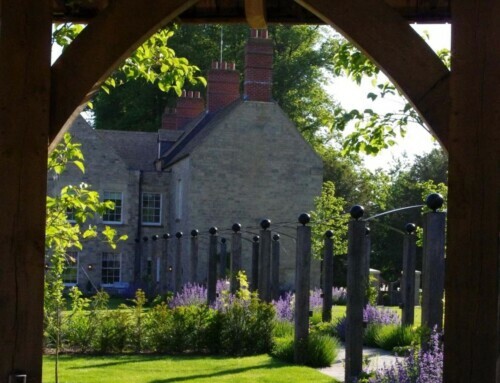 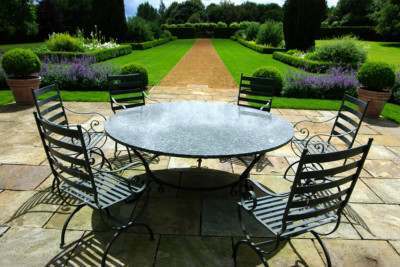 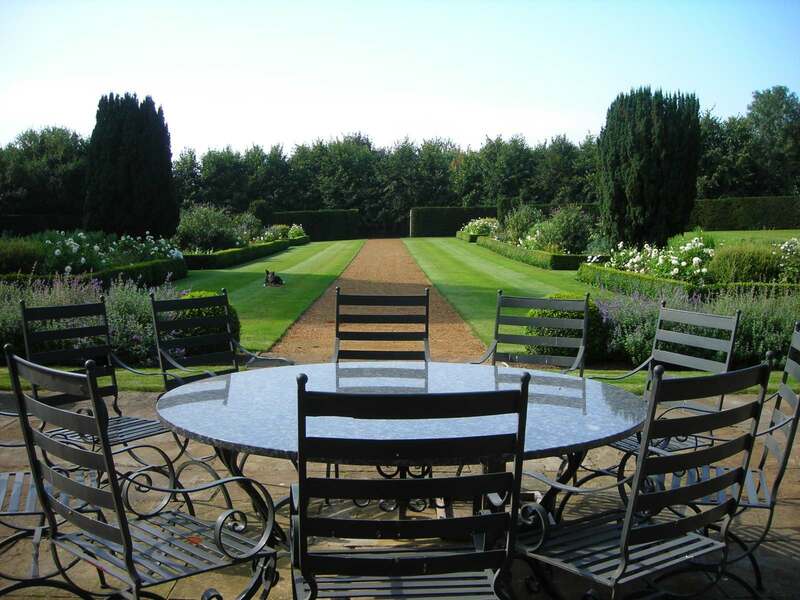 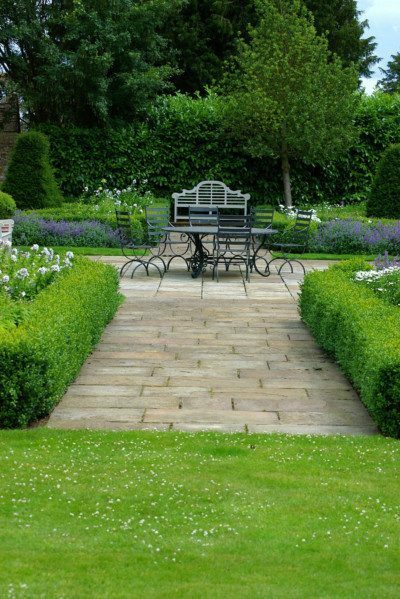 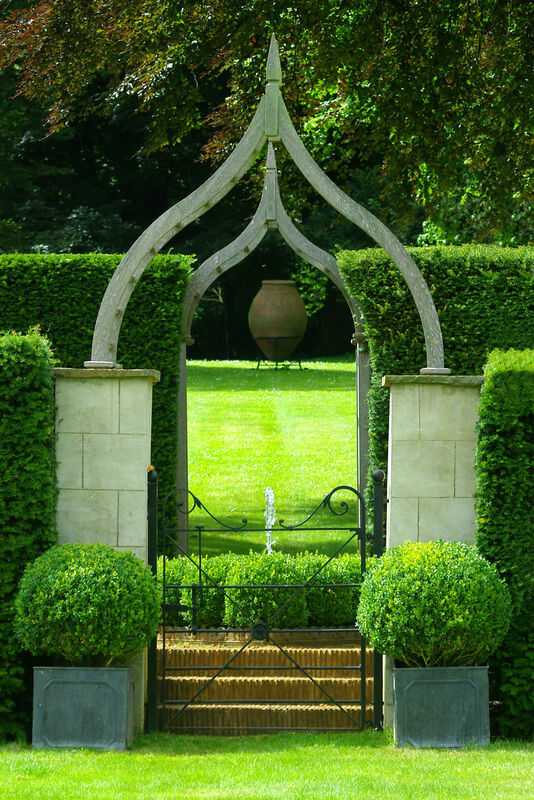 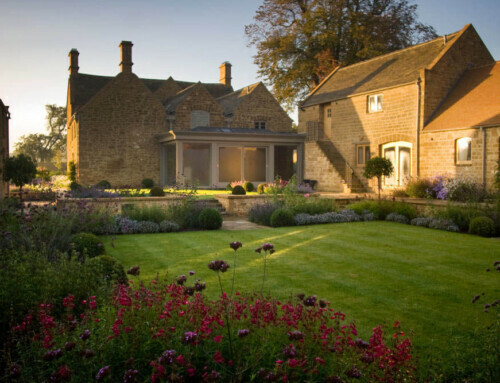 For this garden restoration we transplanted the mature yew and developed a formal garden around the building. 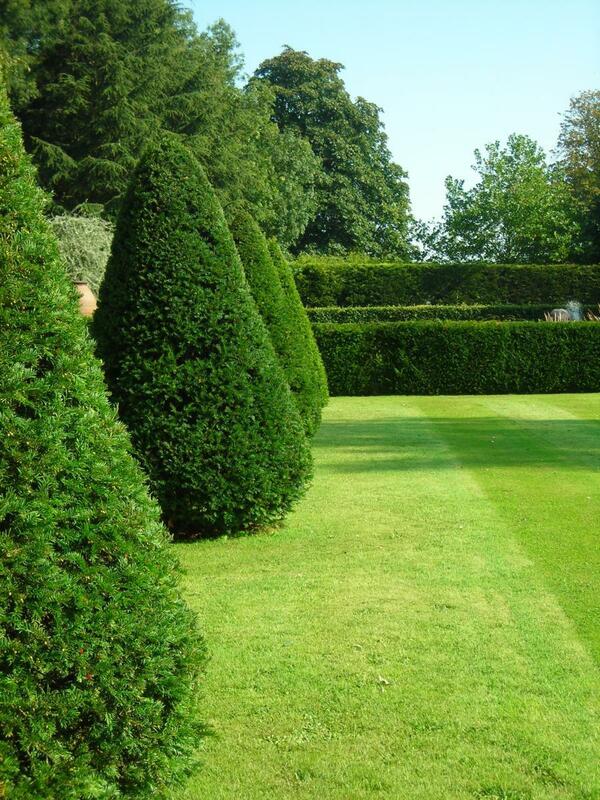 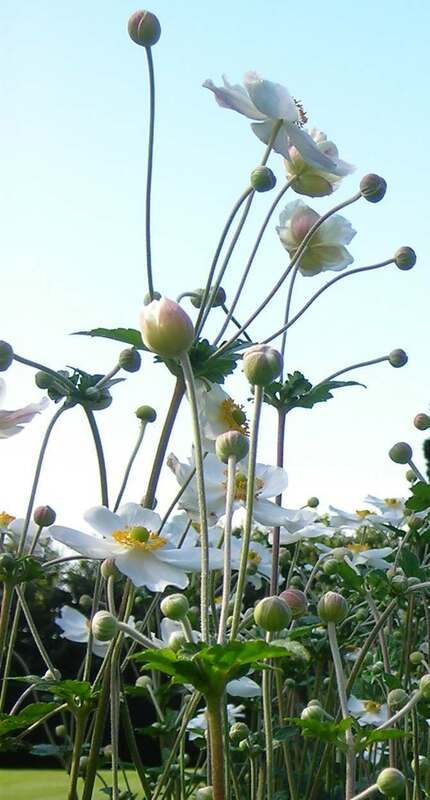 The house now sits in open parkland with close borders and simple topiaries to give winter interest. 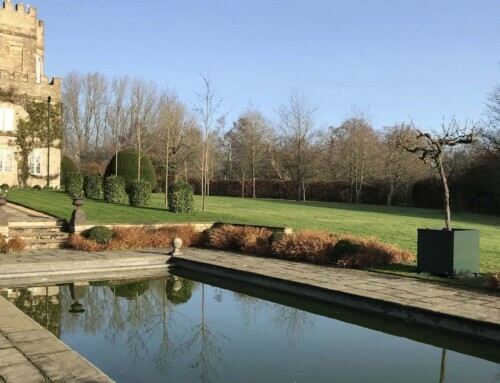 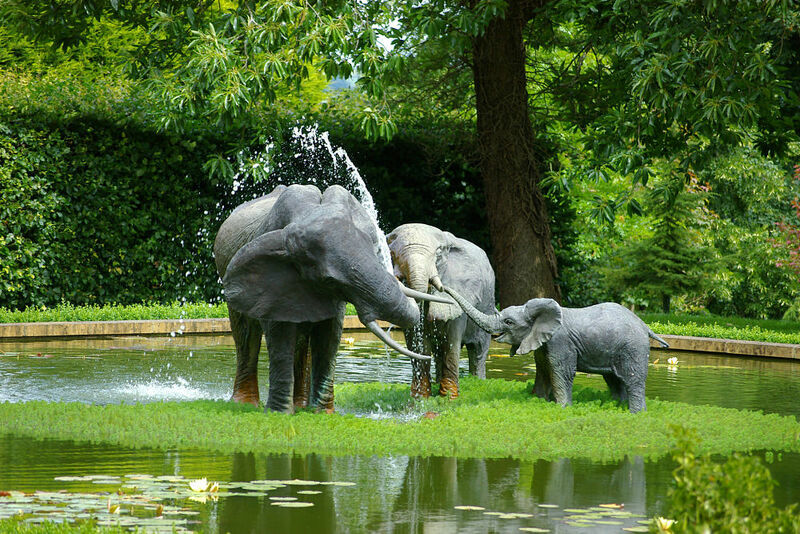 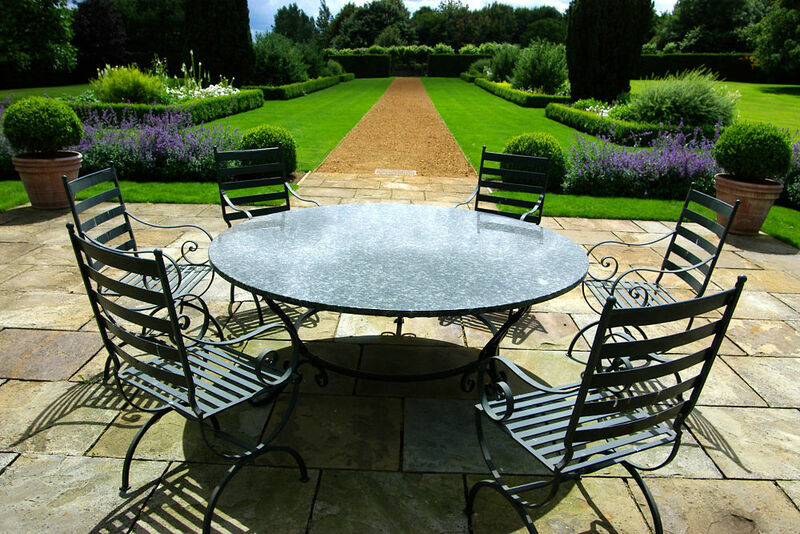 The north lawn is particularly simple with a pool in the distance with an elephant sculpture sourced by our clients.